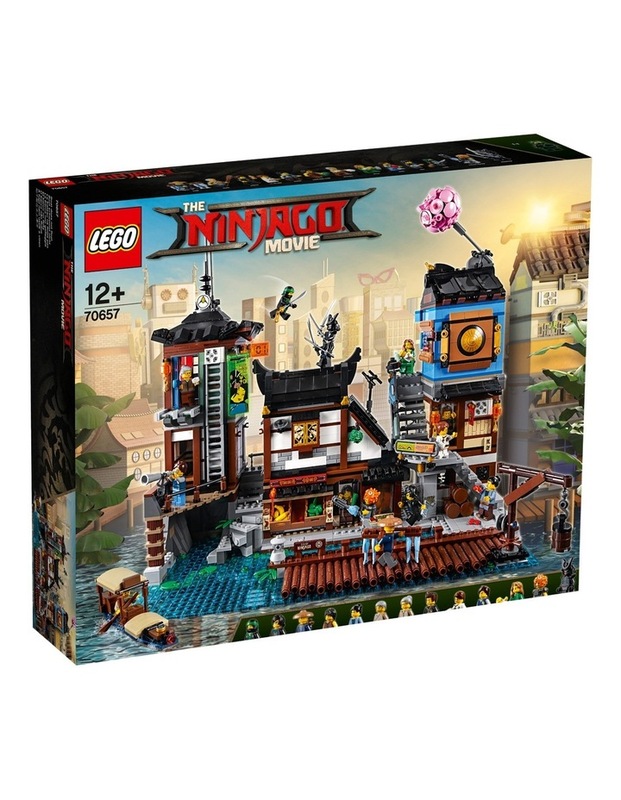 Have fun with Lloyd, Cole and friends at the legoninjago movie 70657 ninjagoCity Docks and defend against Garmadon's attacks. This highly detailed set features a harbor with a functioning crane and boat, and 2 levels of Old World locations including a grocery store with tipping food display and rotating rotisserie; house with map room and kitchen/bedroom; sculptor's workshop; plus a dojo. Experience modern NINJAGO City life on The Street with a tearoom and an arcade with interchangeable billboards, buildable arcade games, functioning vending machine and a buildable pig balloon attached to the roof. This set also includes 13 LEGO NINJAGO minifigures.